This Yamaha can do it all. 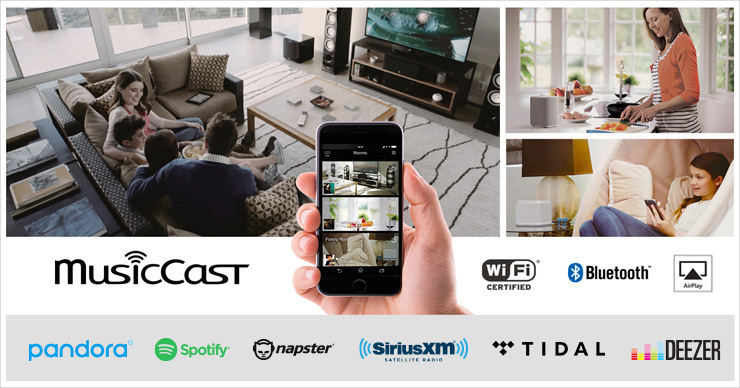 Phono stage, tone controls, WIFI streamer, BluTooth (if you’re still into that), FM, AM, processor/tape-loop, remote control, app control, DAC, A/B speaker connections, and a front aux digital connection. It even has a beefy power supply and 145 watts per channel! All you need is a turntable and speakers! This is a used unit, but in great shape and ready to go home! Please call for more info and pricing! The elegant design of the R-N803 is equally matched with powerful brainy internals – a full suite of modern technological and connectivity features make the receiver even more captivating and result in a receiver worthy to take home to your Wi-Fi® and Hi-Fi. 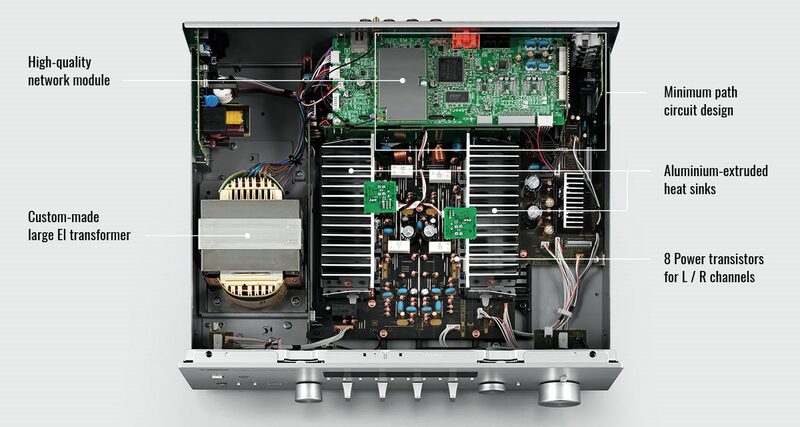 The legendary Yamaha Hi-Fi design concept ToP-ART (Total Purity Audio Reproduction Technology) combines a meticulously symmetrical left/right circuit layout and signal directness (straightest, shortest signal paths) with a low-vibration chassis of high rigidity. The chassis is equipped with the special resin frame “Art Base” that absorbs and blocks unnecessary vibration. The result is sonic purity and an accurate stereo image of your music. 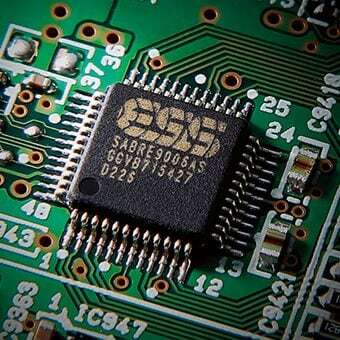 The R-N803 uses the renowned SABRE 9006AS 192 kHz/24-bit DAC (from ESS technology) to deliver superior signal-to-noise ratio performance. Combined with the Yamaha original network module, the unit thoroughly draws out all the sonic merits of high-resolution sound sources, effectively reproducing even the subtle ambience of concert halls and delicate expressive nuances in the sound. For the first time in a Hi-Fi receiver, the R-N803 is equipped with the Yamaha Parametric room Acoustic Optimizer (YPAO™), a famed technology used in Yamaha AV receivers. It measures the shape of the room, the material of the wall and the position of the speaker, then automatically adjusts the sound to create the ideal response and sonic quality. 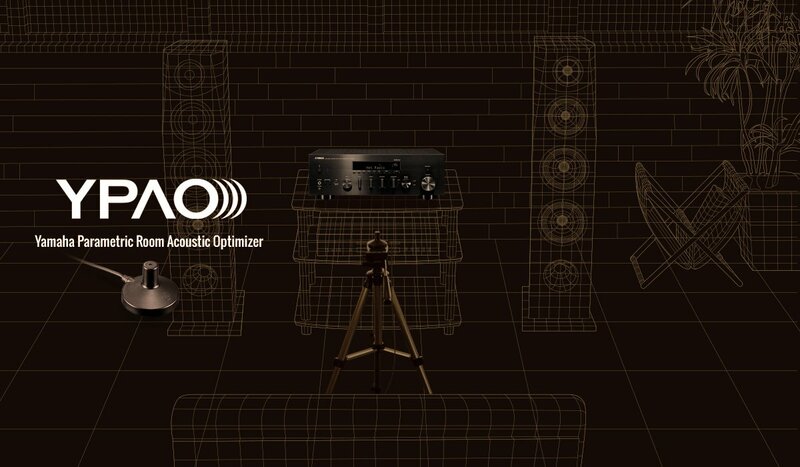 The unit also features other advanced YPAO functions, including YPAO – Reflected Sound Control, which actively corrects the important early reflection sounds that greatly influence sound quality, and YPAO Volume, which applies exceptionally high-precision EQ (equalization), with 192 kHz / 64-bit operation. The result? 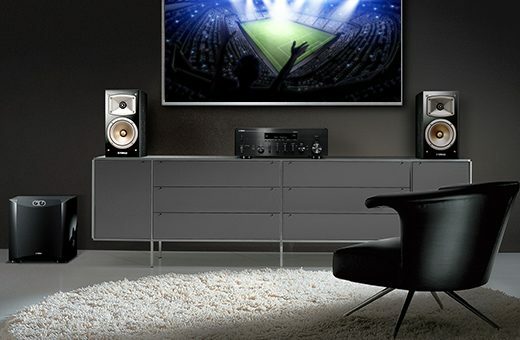 You can create an ideal listening environment right in your home, just like that of a professional audio listening room. This receiver inherits the simple and sophisticated design style for which Yamaha Hi-Fi audio is famous. Its elegant simplicity beautifully complements your other Hi-Fi audio components. The stylish design with high-quality materials deepens both the joy of ownership and the joy of listening. The power amp block adopts a symmetrical and direct circuit layout based on the ToP-ART concept, featuring a parallel push-pull structure using a total of eight bipolar-type power transistors (four each, on left and right) as its output terminals. 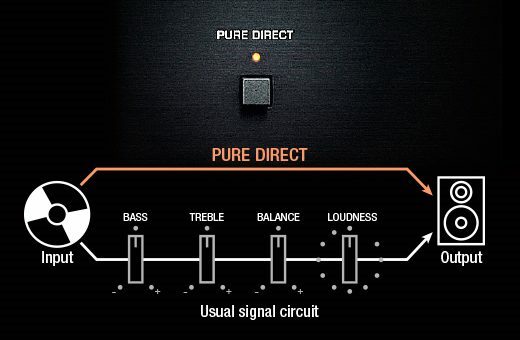 And by minimizing the lengths of the audio signal paths in the circuit design, we’ve lowered impedance to achieve superb drive power with a maximum output of 145 watts (per channel). 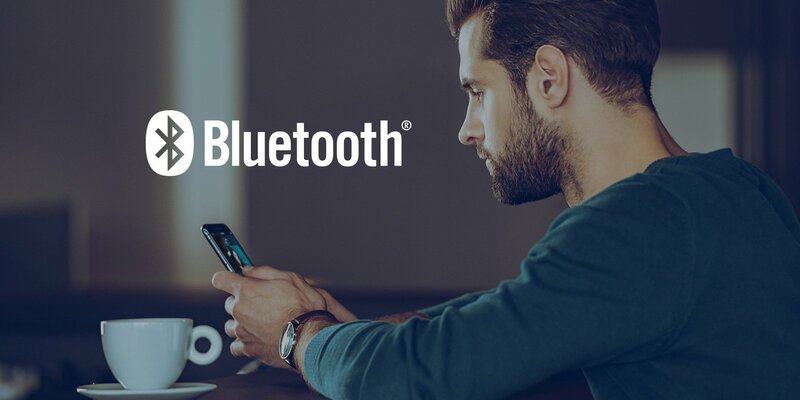 The R-N803 is equipped with Bluetooth® to let you enjoy music playback from smartphones and other devices. The R-N803 is equipped for digital audio input with both audio and coaxial terminals. With an optical input, TV sound reaches new sonic platforms – pure, pristine, and dynamic sound for all entertainment sources, from sports and other programs to movies and concerts. 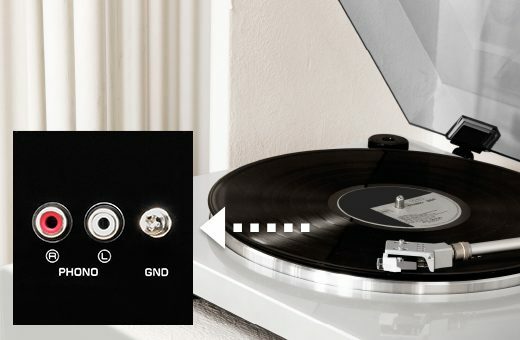 Throw your vinyl collection love and drop a needle with the phono input terminal that connects the R-N803 to a record player. Explore. 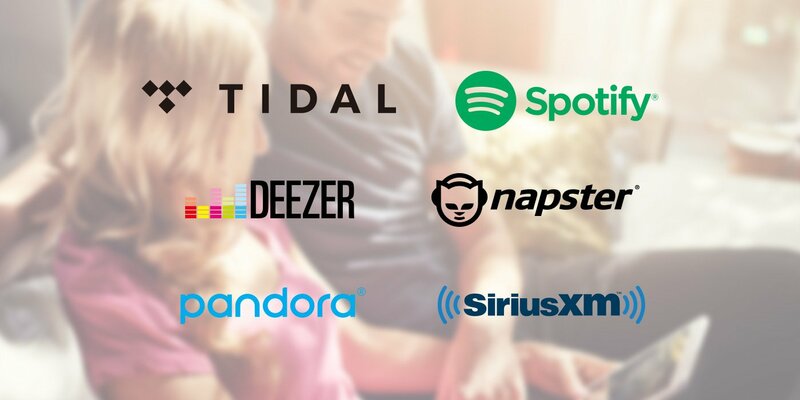 Compatible with a large variety of popular streaming services, including Spotify, TIDAL, Deezer, Napster and others — the R-N803 encourages discovery of new music from all over the world.